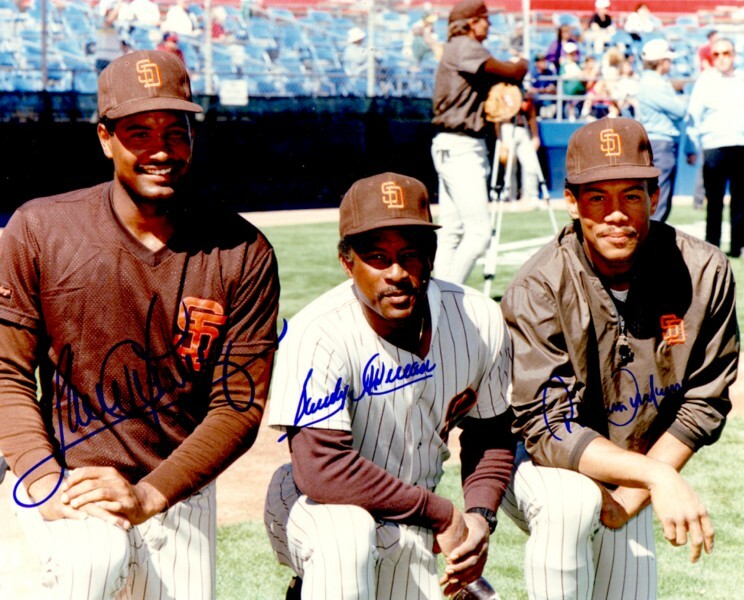 Vintage 8x10 San Diego Padres photo of the Alomar family (Roberto, Sandy Jr., Sandy Sr.) autographed by all three in blue marker. All autographs obtained in person. With certificate of authenticity from AutographsForSale.com.